RRP: £12.95. Comes with one (1) sleeve per package. 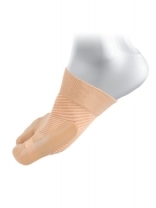 The HV3 Bunion Bracing Sleeve was created using a light-flex toe splint along with an anatomically correct split-toe design to provide relief of bunions, realign toe angles and reduce forefoot swelling. RRP: £19.95 Comes with one (1) pair of socks per package. 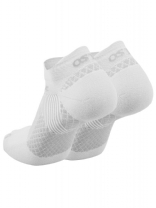 Os1st’s first ever PF sock featuring award winning, patented FS6® technology. 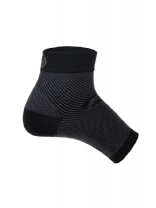 Wearing the FS4™ PF socks during runs or sports activity will aid in preventing PF symptom onset and act as an overall foot health and performance aid. RRP: £29.95. The FS6 Performance Compression Foot Sleeve relieves symptoms of Plantar Fasciitis, Achilles Tendinitis, heel pain, foot swelling, and other discomfort.